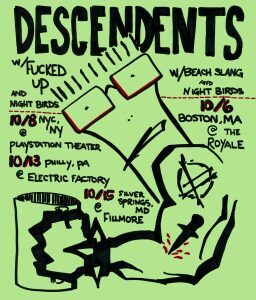 Night Birds are playing shows with the DESCENDENTS! 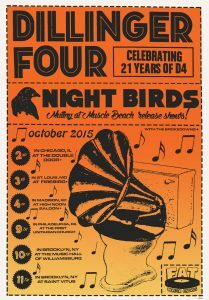 Can’t tell you how excited we are about sharing the stage with a band who was a total game changer for each of us. PS. Amanda Gorsegner was kind enough to sketch this bad boy up for us with the OK from our main man Chris Shary. Thanks Amanda & Chris. We are hitting the road next month with one of Canada’s finest, N0 PROBLEM. Check below for dates, help us spread the word, and come hang out! 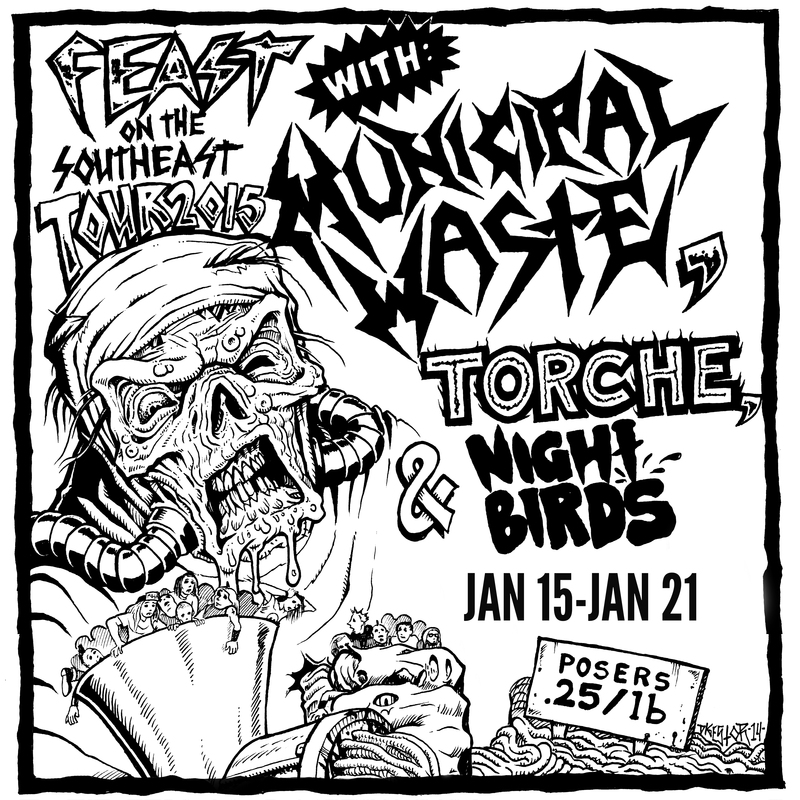 We’re pleased as punch to be headed out on the road with Municipal Waste and Torche this January. We’ll be hitting some familiar spots and some places we’ve never been to before. Come check it out if you are able. We are still working on our next LP – we’re about halfway through writing it. You may even get a sneak peak of some of the songs if you see us on this upcoming tour. Just posted a new shirt for sale in our webstore. 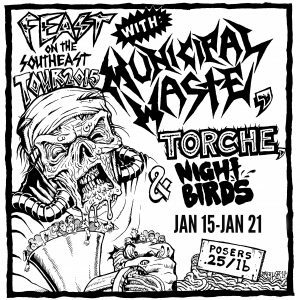 The artwork is by none other than Mr. Chris Shary who has done a ton of artwork for Descendents, All, and loads of other cool bands over the years. We originally printed these bad boys in blue, but this latest batch is in red. We also re-stocked all of our other shirt designs and sizes. 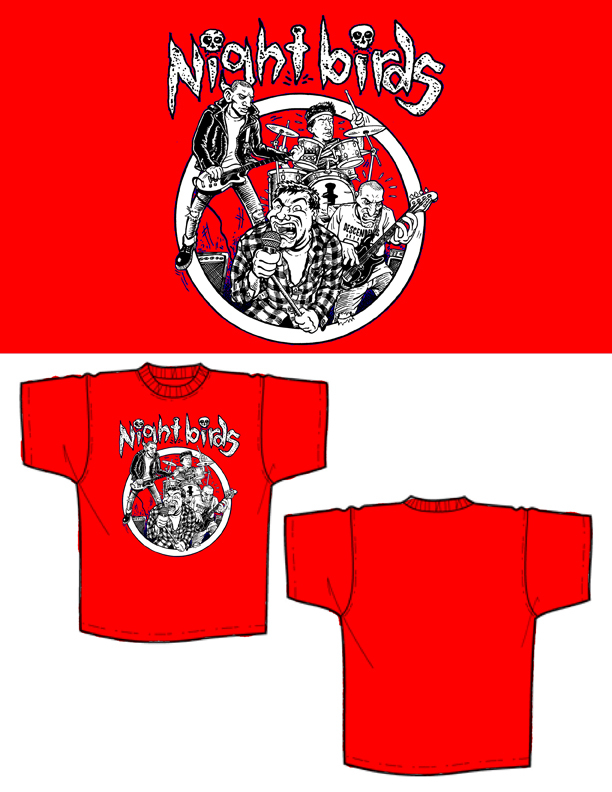 Finally, if you check out our bandcamp website (now linked at the top of this page), you’ll find a few shirt bandcamp-exclusive (read: old designs we don’t sell anymore on this site) shirts in the merch section there. Been a while since we updated this, whoops. Let’s get down to it. We did a good chunk of touring and traveling this Spring / Summer. Thanks to anyone who came out to the shows or helped in anyway. We got to make it up to Canada, out to the West Coast, and over to Europe for our 2nd go around there, and we had a really great time. 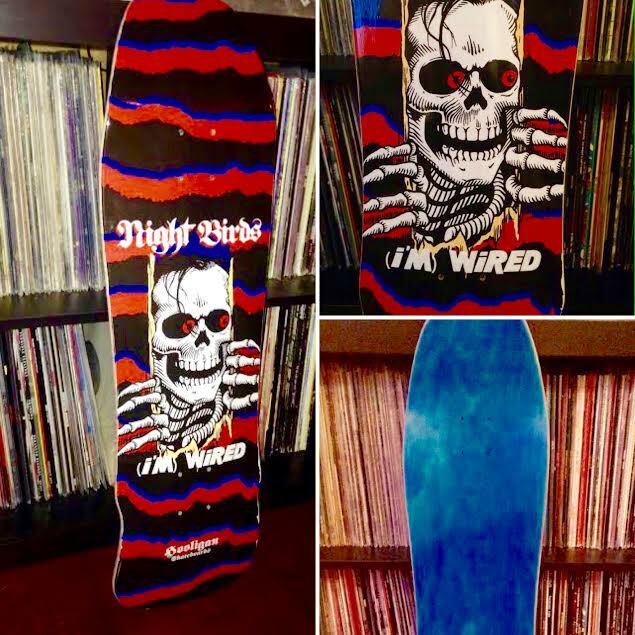 Our all surf instrumental EP, MONSTER SURF, has since been released (and sold out) on Wallride Records, and we are currently hard at work on our 3rd full length album, set for release sometime in 2015 on Fat Wreck Chords. We are currently laying fairly low on the show front, because frankly we are sucky multi-taskers and wanted to really spend some quality time writing and demoing for the new album. We are, however, playing 3 shows at the Gainesville Fest this year, as long as we don’t have more babies or get struck with another hurricane (you know, like the last 2 years we’ve had to cancel)! We also just restocked many shirt sizes in our webstore and will be adding a new design in the next few days. That’s about it for now. We’ll see you soon.